Much has been discussed in the news headlines in recent weeks about the death of the High Street and the demise of the traditional town centre shopping area. There are still empty branches of long-closed Woolworths in many towns and cities. Many BhS branches still remain unoccupied, blighting shopping malls and once bustling central shopping areas. House of Fraser went into administration a few weeks ago, salvaged soon after by Sports Direct. Despite this ‘rescue’ deal, many of these department stores are still set to close. Rumours remain about the viability of fellow department store operator Debenhams. 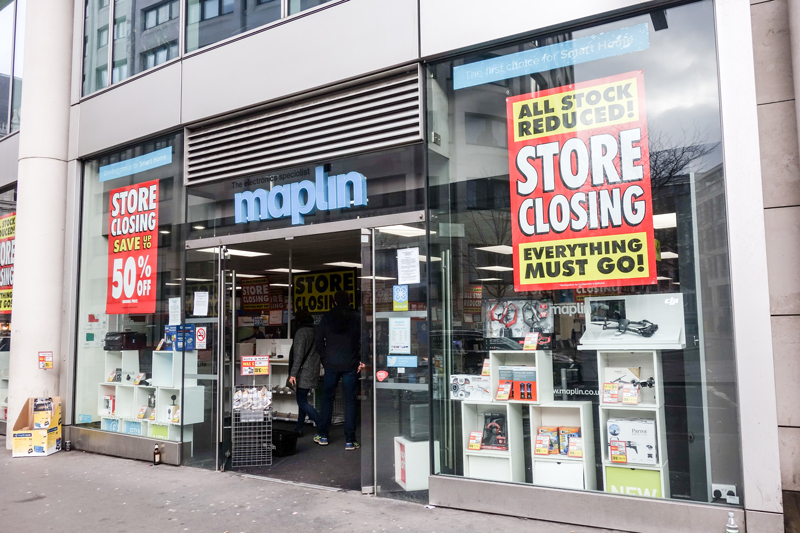 Maplin has gone, Poundworld too, while New Look has closed sixty branches and Carphone Warehouse also is culling its network of branches. Even the once mighty M&S has closed city centre stores, with many more closures imminent. So is the traditional city centre retailing experience obsolete, now replaced by online shopping and other leisure activities? The death of town centre retailing is not a new suggestion or fear. In the 1970s, the emergence of out-of-town discount sheds such as Payless, Comet, Queensway, Asda, etc took shopping for DIY, electricals, furniture and carpets, and of course groceries, out of the town centres. More purposely built retail parks added to this competitive pressure on the High Streets throughout the 1980s and 90s. Despite all of this, the demise of retailing in town centres did not occur. In fact, new malls, department stores and speciality retail areas continued to be developed, while leading brands added to their town centre store numbers and retail space. But then came the surge in online shopping and the emergence of digital-only competitors unfettered by expensive real estate and the associated high operating costs. Big changes to our shopping habits came in 2008. Not through direct retailer competition, but because of the financial crash and credit crunch. Banks could not freely lend to retailers/start-ups. Entrepreneurs were not coming forward in the same numbers as before. Large retailing acquisitions were not taking place. Leading retailers were not launching new chains. And, of course, consumers were spending more frequently, but locally and in much smaller sums… much less. Retailers in town centres now face additional challenges. The ‘have it your way when you want it and where you need it’ culture prompted by Uber and Deliveroo is creating a generation of consumers used to having everything brought to them on-demand. Increasingly retailers are striving to reflect this behaviour, offering same day to-home/office deliveries or click and collect to a variety of destinations including in the suburbs. Now it is being suggested that virtual reality will negate the need for many consumers to make certain purchases or turn to shopping trips for entertainment, instead immersing themselves in the surreal world of VR experiences in their living rooms. There is also the growth of 3D printing, including of clothing, shoes and various consumer durables. The costs are falling for such equipment, with predictions of in-home 3D printing becoming a viable option within the next five years. Though perhaps not great news for bricks-and-mortar retailers striving to persuade shoppers to still leave home to visit town centre stores. 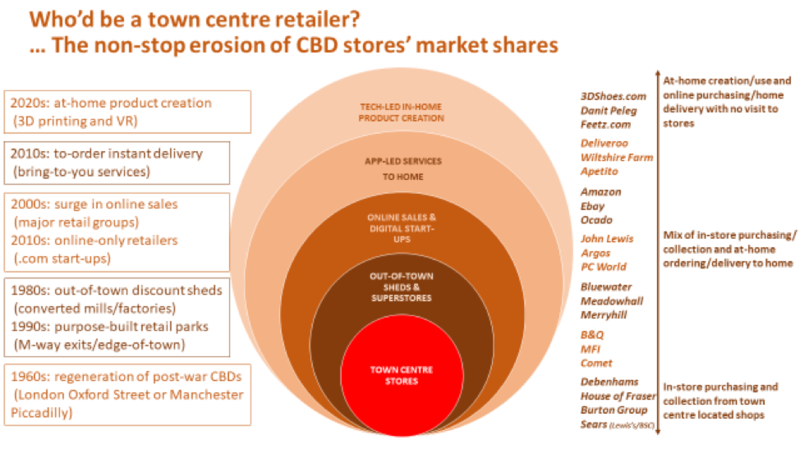 So what might save UK town centre shopping? Well, firstly it is important to point out that today millions of consumers still tread the pavements of UK town centres. For many households, shopping is still seen as an important and enjoyable leisure activity. Nevertheless, the statistics do not lie and town centres require an injection of imagination and investment in order to pull-in users and compete with alternatives for shoppers’ interest, time and spending power. There are some intriguing developments which might see a turn-around. One recently closed large department store has been re-born as a student hall of residence, with commercial use on the ground floor. Another former department store has re-emerged as very much mixed use, with residential apartments on the upper floors, offices lower down and retail/commercial use on the ground level. Interestingly, in these cases there is not much retailer space, but more services: eateries, bars, hair, nail and tattoo parlours, crafts and gaming. In door crazy golf, trampolining, kick boxing, have appeared in former branches of BhS and Woolworths. Gaming zones, paint balling, laser shooting, and escape rooms as made popular by the Crystal Maze, too. Cake baking, pottery painting, sewing centres and other creative pass-times, once confined to secondary sites and the fringes of shopping areas, now are to be found in town centre shop units. Fitness is a big winner, with many upper levels of former stores converted into gyms and fitness facilities. One gambling and bingo operator wants to create town centre-based entertainment ‘all-in’ venues: bingo, arcade gaming, betting, crèche facilities and dining, all in one city centre site; although planning authorities are still to be convinced by this proposition. 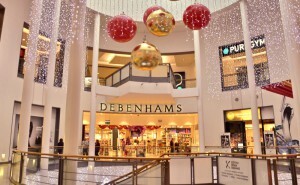 The return of people residing in city centres – in large trendy developments of apartments above shops, offices and entertainment facilities – has encouraged grocery retailers to return to the locations they once vacated for out-of-town retail parks: Sainsbury’s, Tesco and M&S Food all are seeing significant growth in sales in town centre locations. Intriguing as these developments are, it remains to be seen as to whether businesses trading in traditional town centres are able to successfully compete with online shopping, anytime/anywhere delivery and consumption, VR and 3D printing. Investors used to view as highly desirable the real estate property portfolios of large shopping centres and retailers. Will they be as prepared to invest in the diverse activities and interests likely to underpin future city centres? Creative use of retail space, the diversification plans of retailers, consumer adoption and speed of take-off will dictate the viability or otherwise of the town centre. And let’s not over-look the recent appearance in a few US towns of once online-only Amazon in physical stores, somewhat surprisingly taking retailing back to the traditional shopping centre.